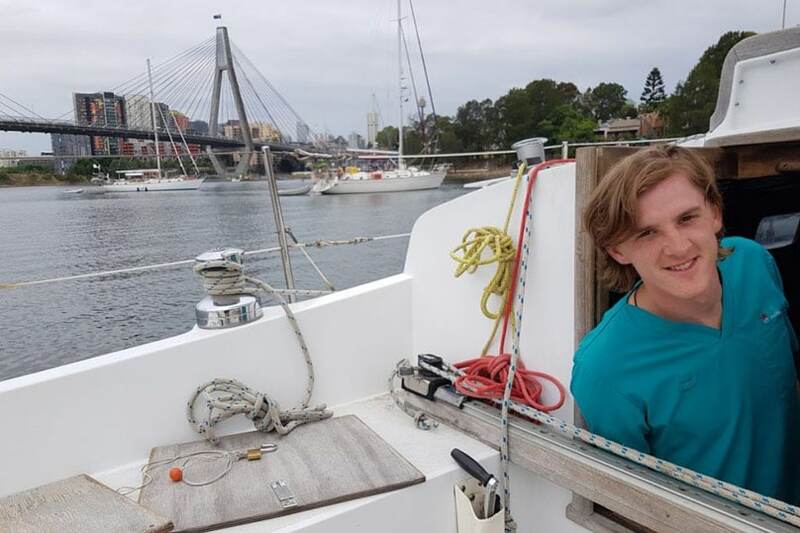 This month in Sydney Harbour 27-year old Andrew Brazier will embark on a 15,000km solo trip across the Pacific Ocean. He’s leaving his rounds as a hospital registrar to make the final preparations this week, including getting his boat blessed by Fr Duncan Wong FSSP, parish priest at Lewisham’s Maternal Heart of Mary parish. Dr Brazier became ‘hooked’ at the age of eight after reading the autobiography of Joshua Slocum, the first man to sail solo around the world. 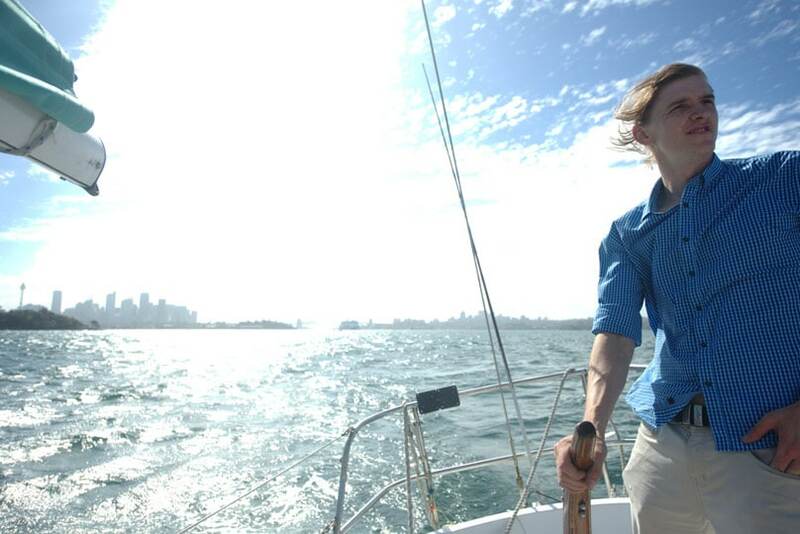 He bought his first boat at 20 and taught himself sailing from YouTube videos. He aims to raise awareness and $100,000 for the Indigenous Literacy Foundation. He has already surpassed $7000 and wants change the fact that 75 percent of Indigenous children in the country’s remote communities don’t meet minimum reading standards by Year 5. “A few years ago I went with my brother on a motorbike tour of the Northern Territory and we visited some communities which are struggling in remote areas there. It’s clear that what is lacking in these communities is education, and that’s what’s most important. A community can’t make positive changes without education for its young people. “There’s also a fairly large Indigenous population at Nepean Hospital where I work, and you can see the effects of poor education. It leads to low socio-economic outcomes, which leads to chronic disease, and you see it become a terrible cycle. Andrew expects to dock in Los Angeles on the US’ west coast in roughly three months’ time. Before this he’s never sailed for more than a few days at once. His 10m sloop, Perpetual Succour, will be stocked with dried and tinned food, water and a desalinator, vitamin C tablets, Rosary beads and books given to him by close friends. “I’m most looking forward to the days with beautiful sailing conditions. The most spectacular thing about sailing is when you can just sit and look at the horizon. Andrew was home-schooled in Faulconbridge in the Blue Mountains where he grew up with his seven siblings. He still lives there but sings in the choir at Maternal Heart. He often sails through the Sydney Heads and along the coast or “anywhere there’s water”. His journey will be both a personal challenge and retreat experience. He says sailing connects him to God in a deep and personal way. “I pray best when I’m doing something so sailing is ideal. When the weather is variable there’s always something to do on the boat and maintenance will be a constant battle to keep it in good working order. But there will be days when there’s not much to do. Does he harbour a dream to sail around the world? Follow Dr Brazier’s journey at www.aloneinthepacific.com. He is seeking donations and sponsorships with all funds raised going to the Indigenous Literacy Foundation: give.everydayhero.com/au/solo-pacific-crossing.